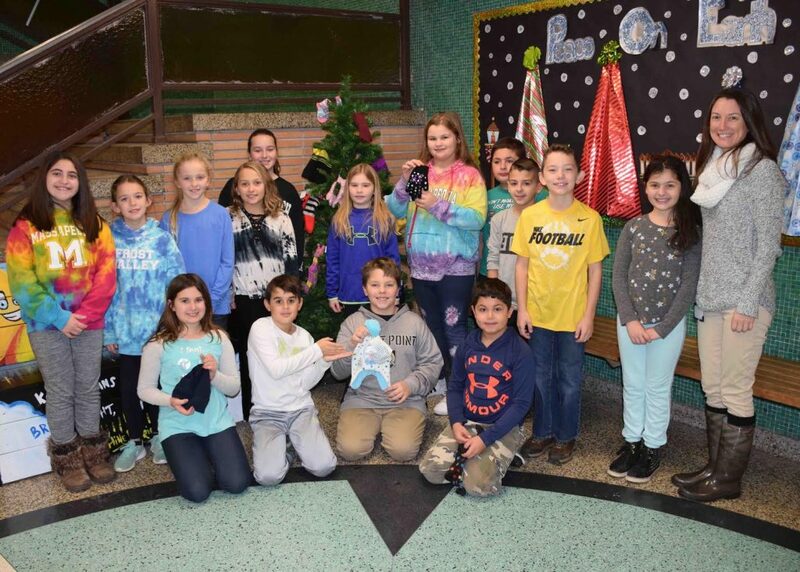 The Student Council at McKenna Elementary School in the Massapequa School District, led by advisers Erin Rohan and Mary Ellen Scheffler, organized a mitten tree in December. Staff and students donated new mittens, gloves, scarves, hats and socks, which were delivered to Long Island Cares. Fourth- and fifth-grade Student Council members, along with Ms. Rohan, showed many of the items that were generously donated.